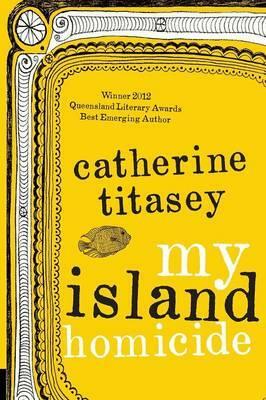 When choosing a first book to read for this year’s Australian Women Writers Challenge I couldn’t go past the cheerily coloured, summer-y feeling cover of Catherine Titasay’s MY ISLAND HOMICIDE. The idea of travelling virtually to somewhere I’ve never been and having an excuse to dig out my old Christine Anu CD* were bonuses. It is the tale of Thea Dari-Jones, a 40 year-old policewoman who, as the book opens, is experiencing her first day as Officer In Charge of the small police station on Thursday Island (forever referred to as TI), one of the 300 or so islands scattered through the Torres Strait off the far northern coast of Queensland. Thea has chosen the island job because she’s a little burned out by years of big-city policing, is keen to get far away from her cheating ex-boyfriend and is more than a little curious about the place her mother was born but has never talked much about. On first impressions it looks like she’ll get the relatively peaceful life she was after but then a local woman is reported missing. Unless they’re lost at sea people don’t go missing for long on TI (the population is under 3000) and, though it takes a while to get there, the book’s title does give the game away regarding the ultimate fate of the young mother. Titasey goes way beyond the standard picture postcard imagery to show the many layers that a novel can employ to provide a sense of place. There are descriptions of sparkling beaches and gorgeous sunsets (it is a tropical island after all) but she shows us every aspect of life including the different kinds of jobs people have, using one of the languages the locals speak to good effect (Broken English), sumptuously describing the food they eat (often after catching it themselves) and the way they spend their leisure time. The book even delves into some of the darker aspects of TI life including the prevalence of domestic violence and the corruption that can eventuate when a local economy is very heavily dependent on government services and the associated jobs. Another element the novel gets right is using the character of Thea as a protagonist. Not only does her mixed heritage offer the potential (ultimately well-realised) for genuine insight into the multicultural mix that exists on TI but as a newcomer to the place and the job it is natural for Thea to be learning things in a way that allows the reader a believable introduction those same things. And we do go through a lot with Thea as she meets and falls in love with a local fisherman and eventually starts to learn more about her mother’s history on the island. Jonah, Thea’s romantic interest, is nicely drawn too as are Thea’s colleagues and the island people she meets through work. There is a real sense of the positive and negative aspects of life in a small community. The element of the novel that didn’t work as well for me was that it really is stretching things to call it a crime novel (which Titasey does). After a strong start – where I thought the mix of procedural and personal just about right – the latter two thirds of the book really becomes more of romance with occasional references to police work thrown in for contrast. Thea spends a lot more time than I cared to read about staring at nothing while thinking dreamily of Jonah, worrying about having the right underwear and a whole lot of other girly stuff that, frankly, bored me witless. I know it’s probably unfair of me to say that but I think the book would be much more comfortable in the romance section of the book shop and, had it been there, at least I would have had more of an idea what to expect and made my choice whether to read it or not accordingly. That said if you love a good romance with an astonishingly enveloping sense of place, some great characters, a healthy dose of light humour and the occasional reference to a dead body or island-style crime spree this is the book for you. Although in the end it proved too mushy for my personal taste that doesn’t take away from the fact that if I close my eyes I can just about imagine I’ve been to TI on holidays and I learned a heck of a lot of interesting things about Islander history and culture and the range of work that police in a place like TI would encounter. MY ISLAND HOMICIDE is a perfect summer read for the romantically inclined. Bet you can’t read it without wanting to cook yourself a curry. *for the non-Australians (or those too young to remember…gulp) Christine Anu had a huge hit nearly 20 years ago with a song called My Island Home (though the song itself was originally written about a place in Arnhem Land, Anu changed some of the lyrics to fit with her Torres Strait Islander heritage when she started to sing it). Have a listen. MY ISLAND HOMICIDE started life as a manuscript called Island of the Unexpected which won the Queensland Literary Award for best emerging author in 2012. You can hear Catherine talk about the book and her own life as a ‘blow-in’ who arrived on TI 20 years ago on Radio National’s daily Arts show last November (which is what prompted me to buy my copy). 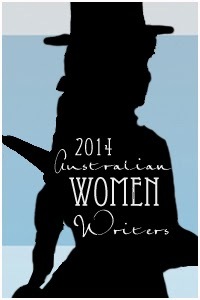 This is the first of what I hope will be 24 novels read and reviewed for the 2014 Australian Women Writers Challenge. There’s still plenty of time for you to sign up yourselves and you can aim for as few as 4 books.